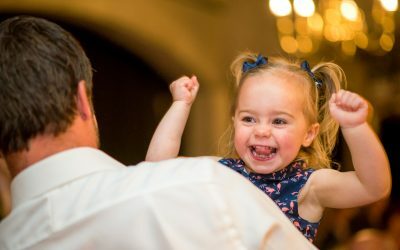 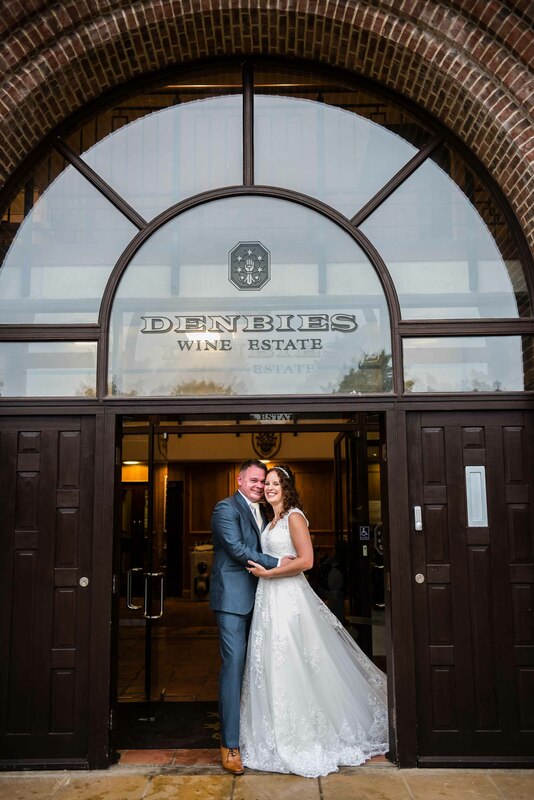 I was delighted to be asked to photograph Jessie and Graham’s wedding reception at Denbie’s Wine Estate in Dorking, Surrey. 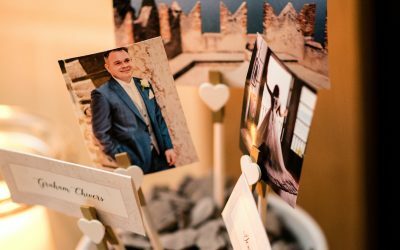 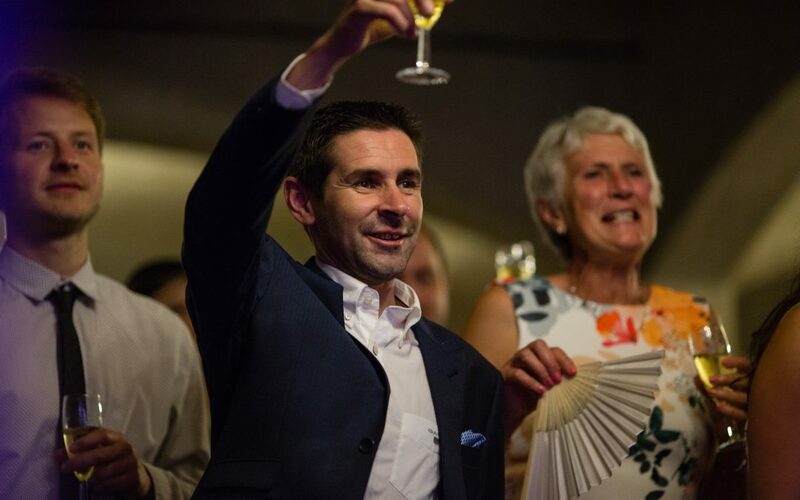 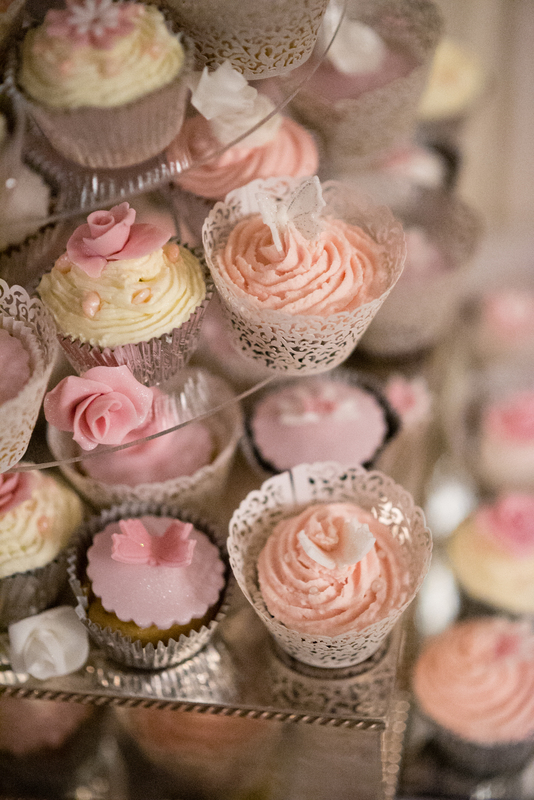 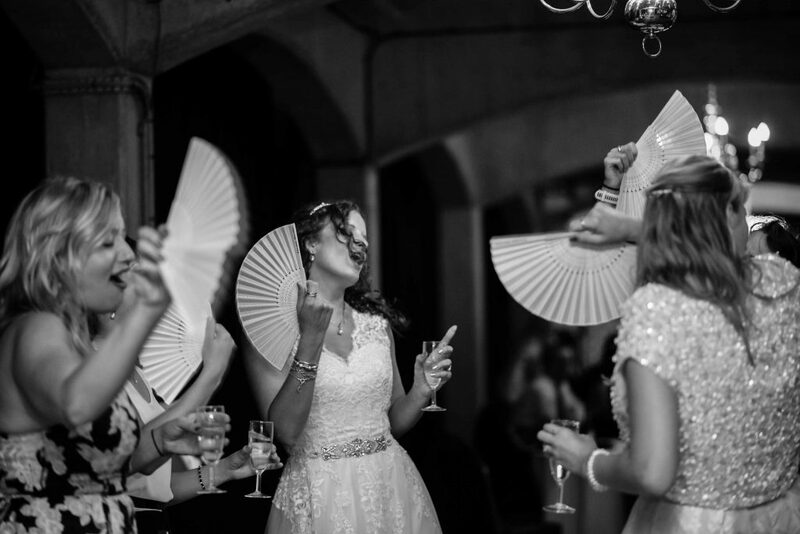 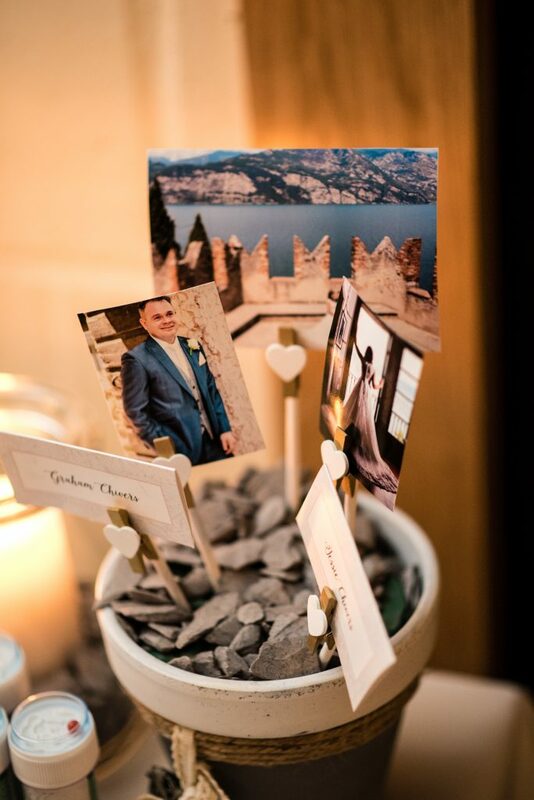 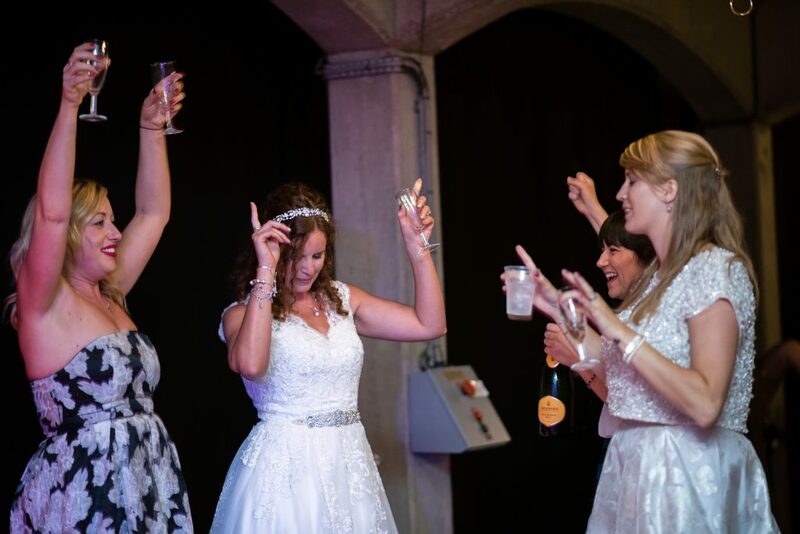 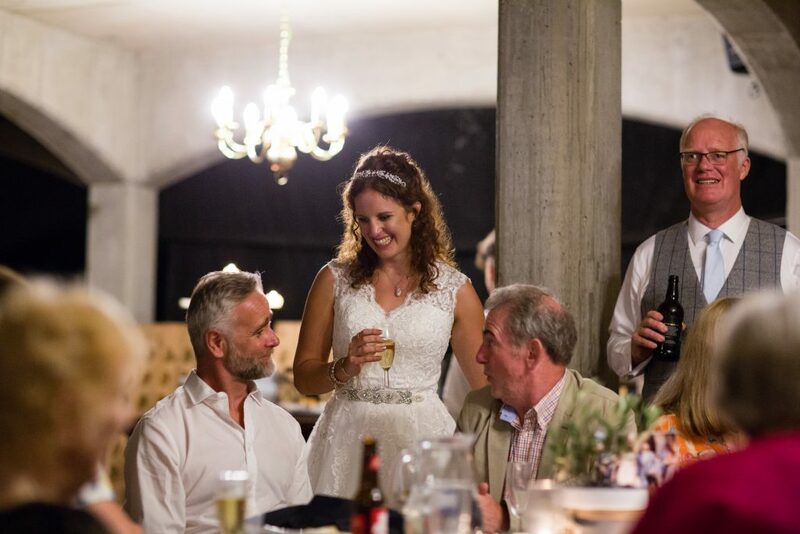 Jessie and Graham married in Italy, and so organised this wonderful reception for their return. 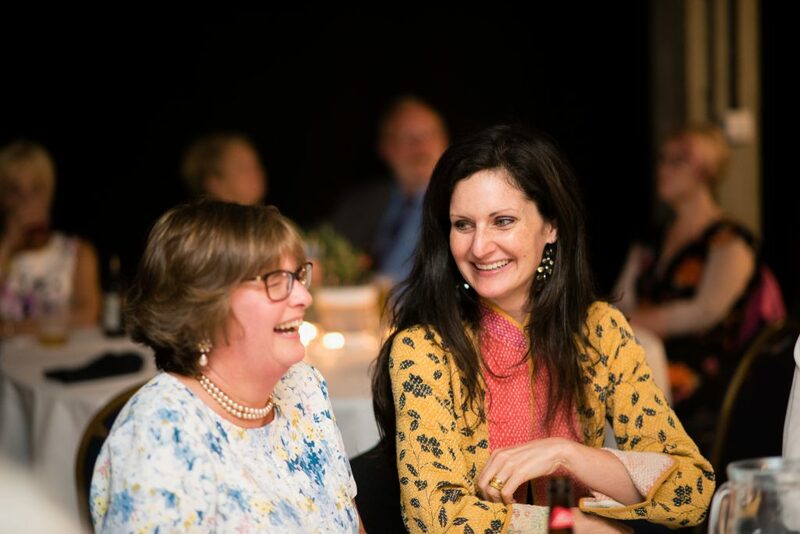 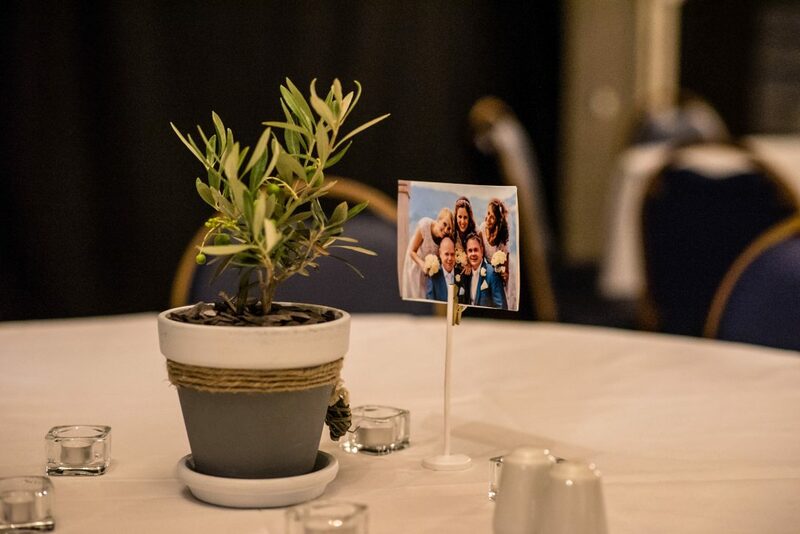 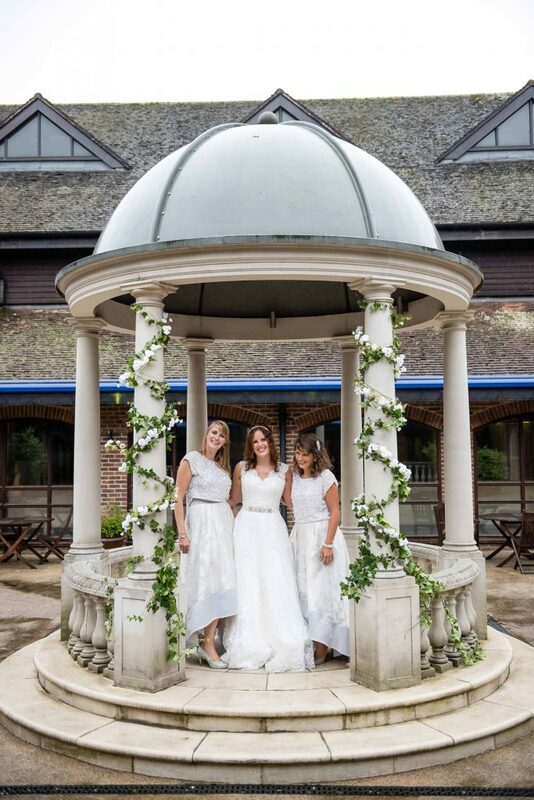 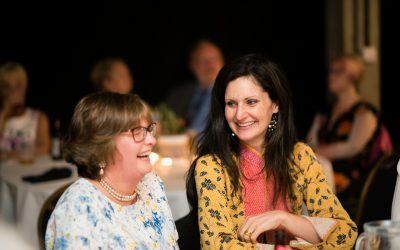 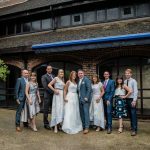 We’d met previously at Jessie’s friend’s wedding where she had been a bridesmaid at East Quay in Whitstable, on the Kent coast. 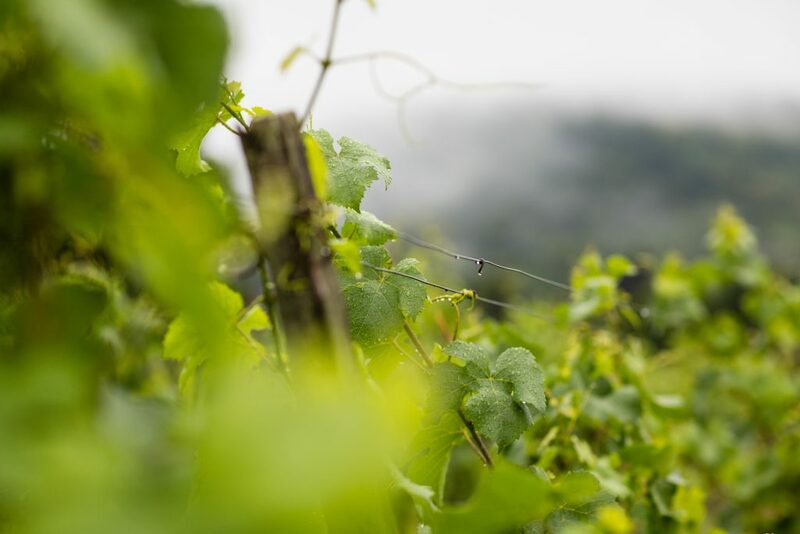 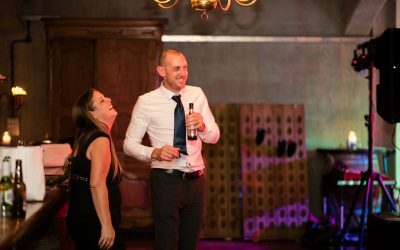 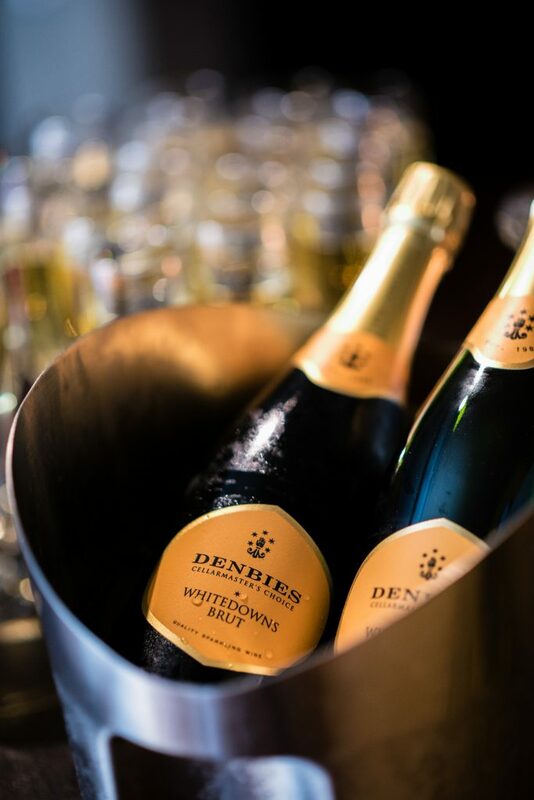 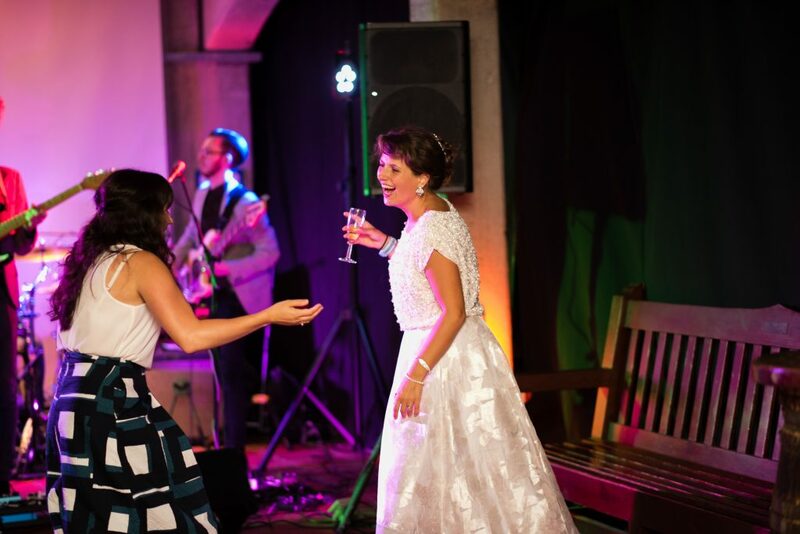 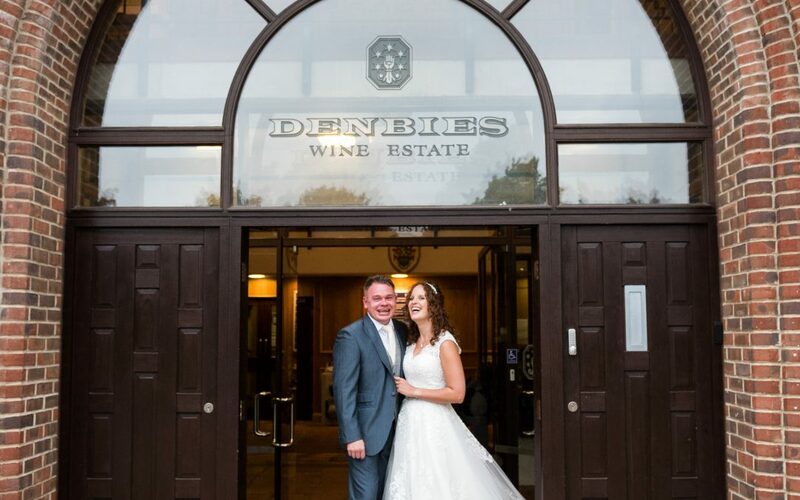 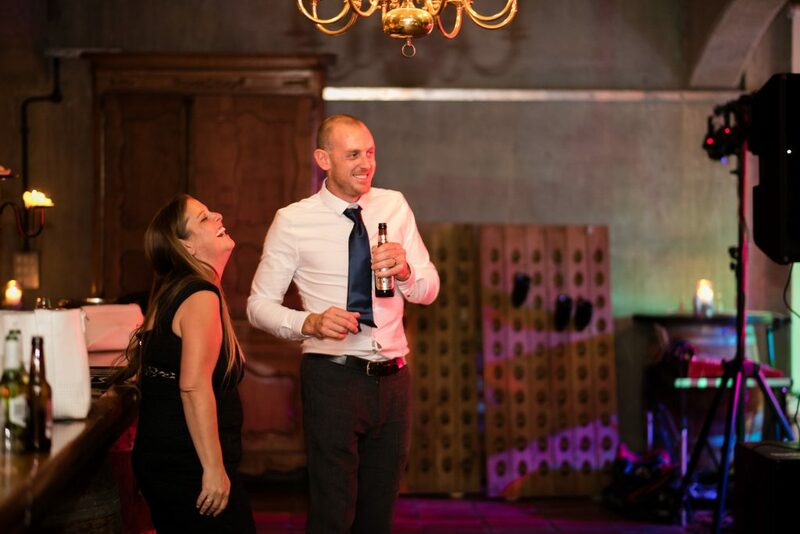 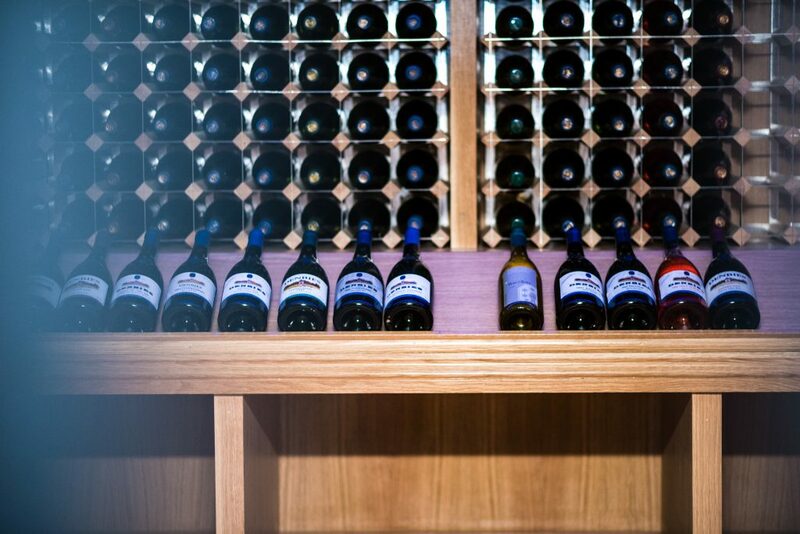 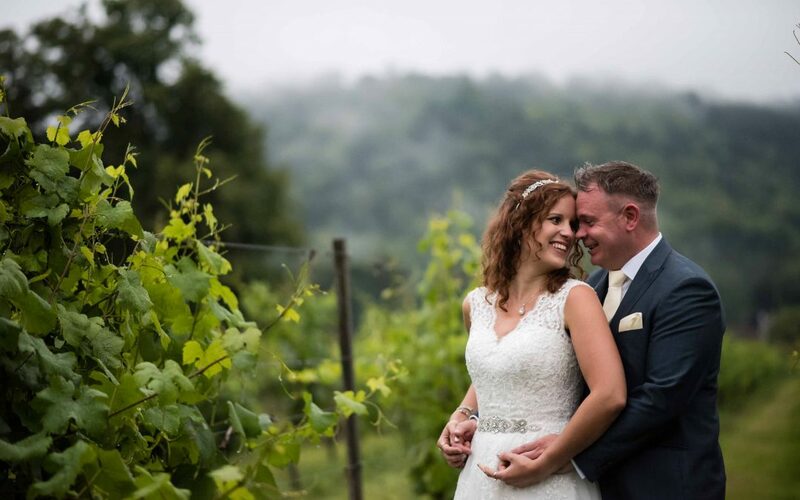 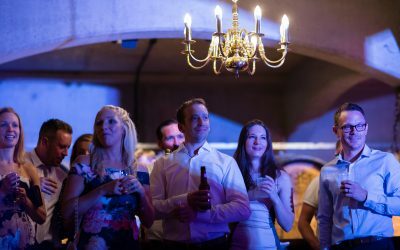 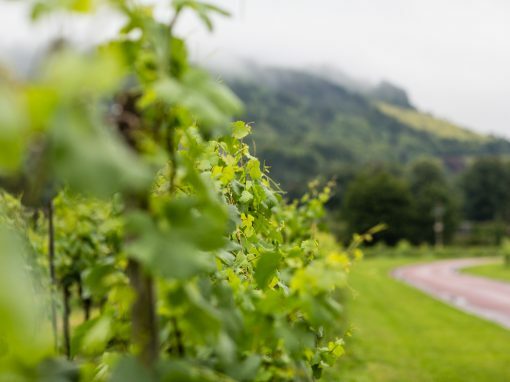 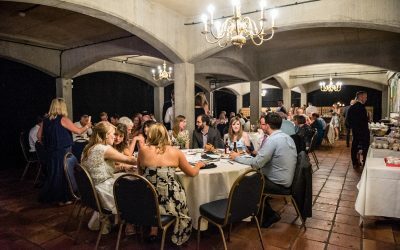 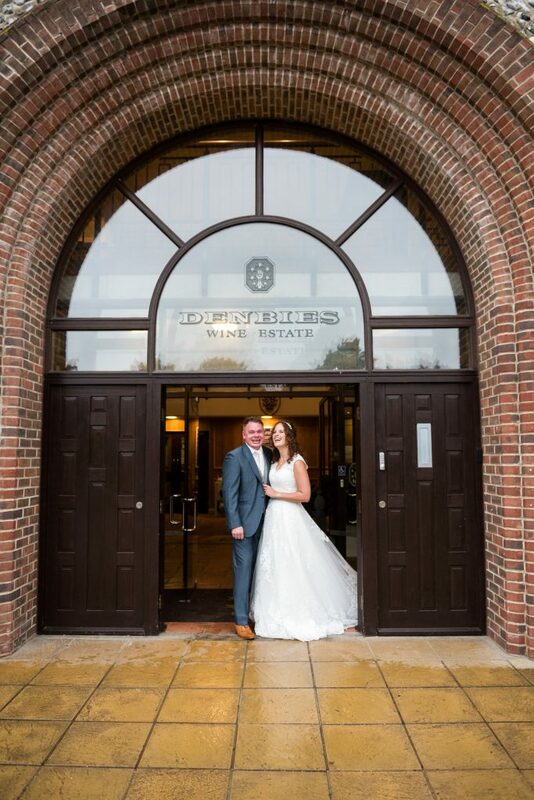 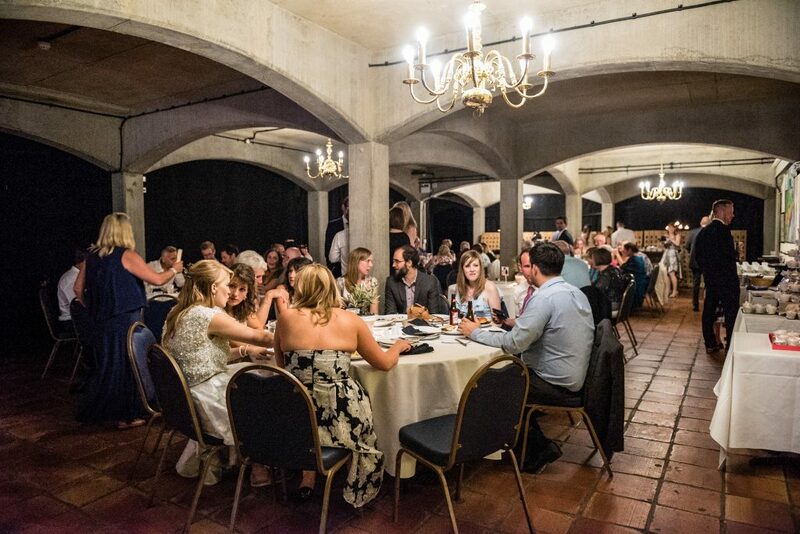 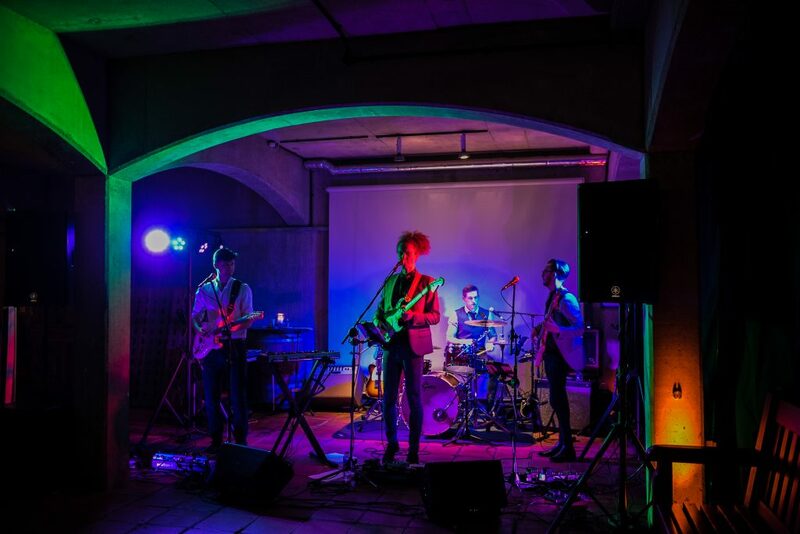 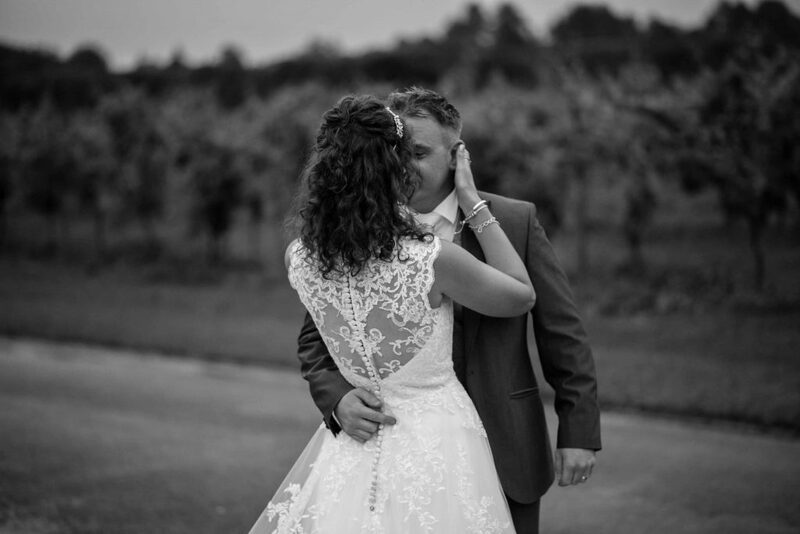 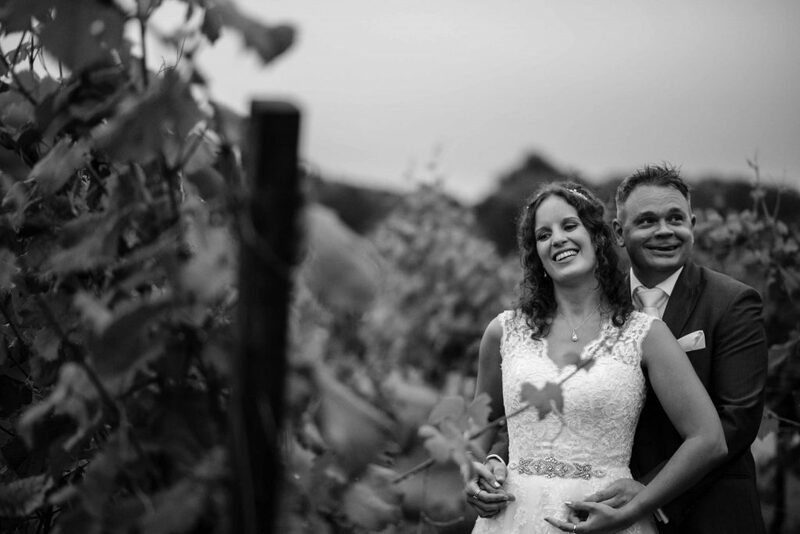 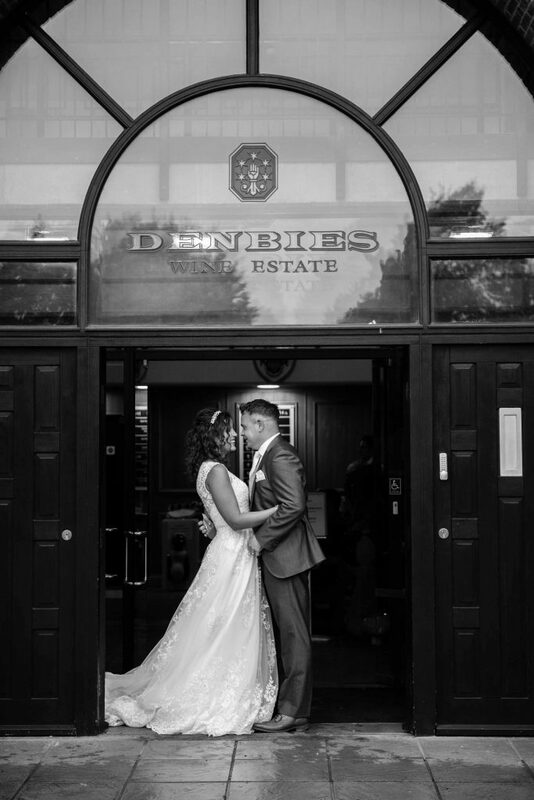 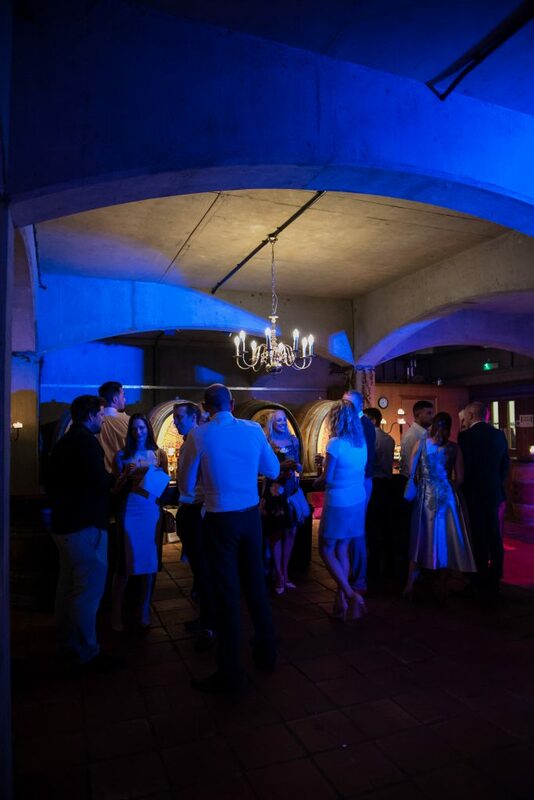 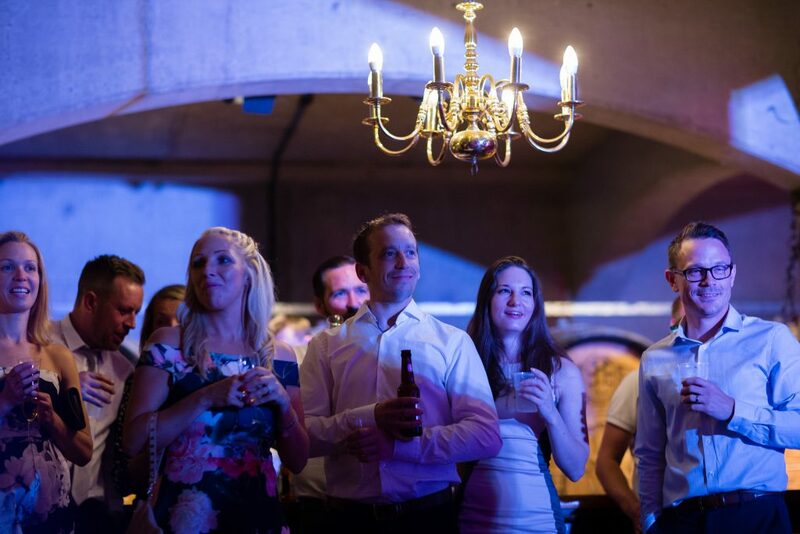 It was my first time at Denbie’s Wine Estate, and as the reception was taking place in the wine cellar, a concern for Jessie and Graham was the fact that there was no natural light available. 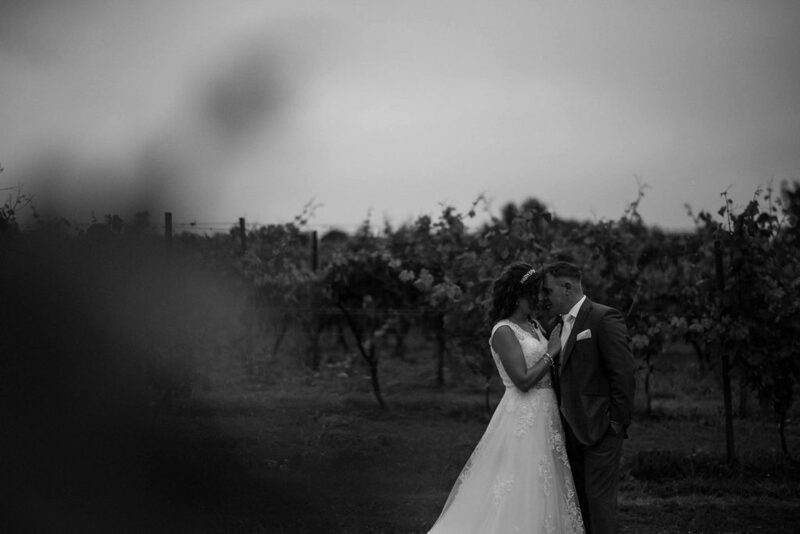 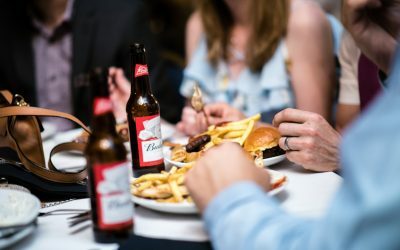 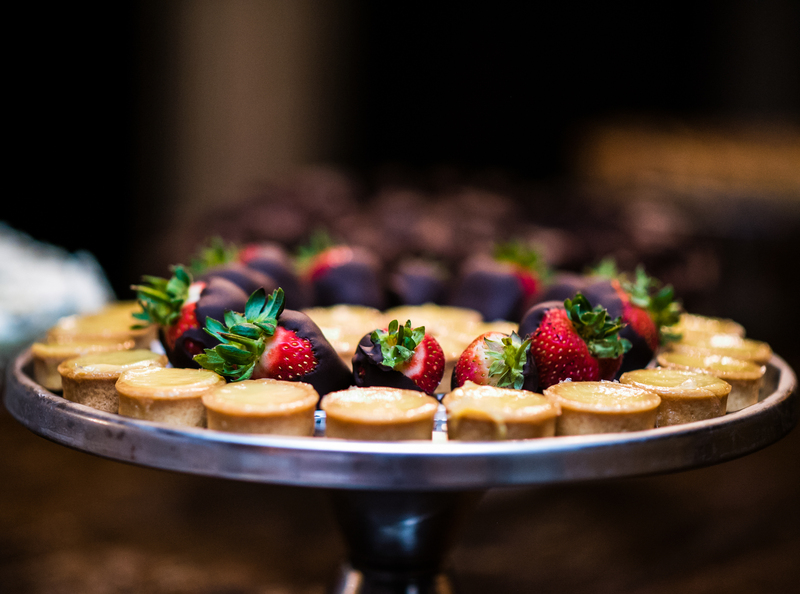 As a photographer experienced at photographing in low light I was able to reassure them that this wouldn’t be a problem. 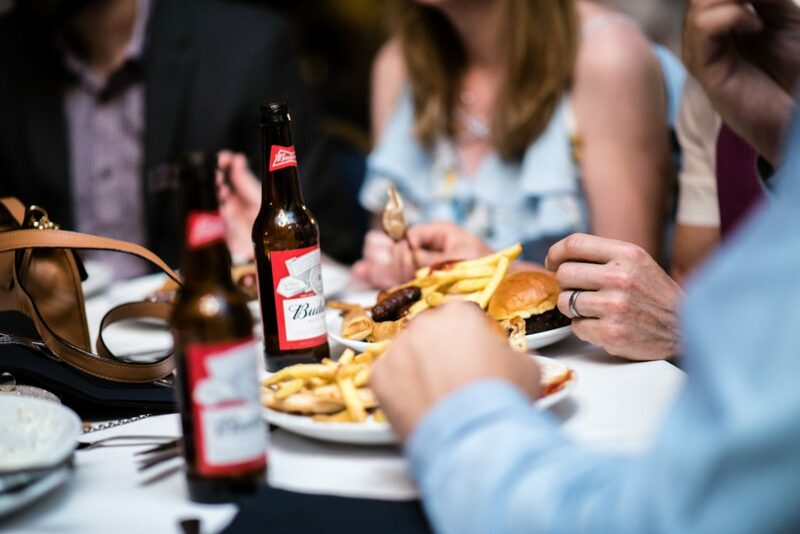 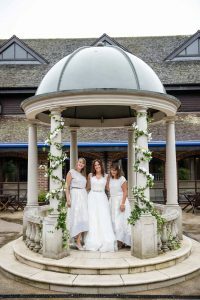 Indeed this is a common challenge that wedding photographers face, for example during winter weddings but also as many weddings take place in very atmospheric but dark barns, and often wedding breakfasts are photographed after it is dark. 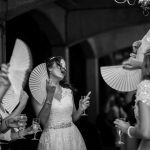 Using full frame Nikon bodies, with fast prime lenses and with a knowledge of how to use whatever ambient light to our advantage, means that low light is not a problem. 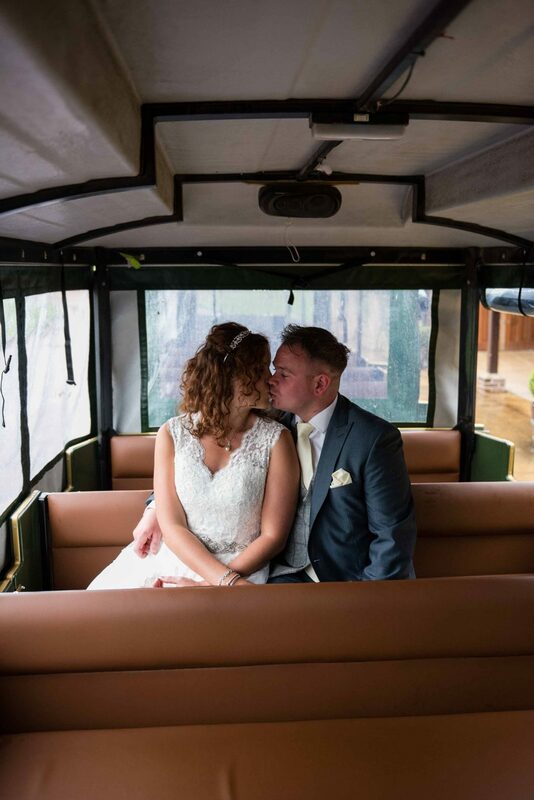 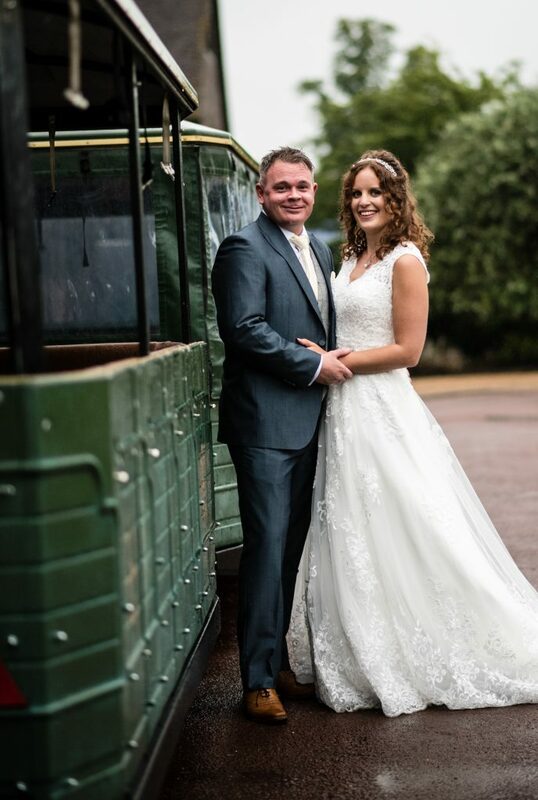 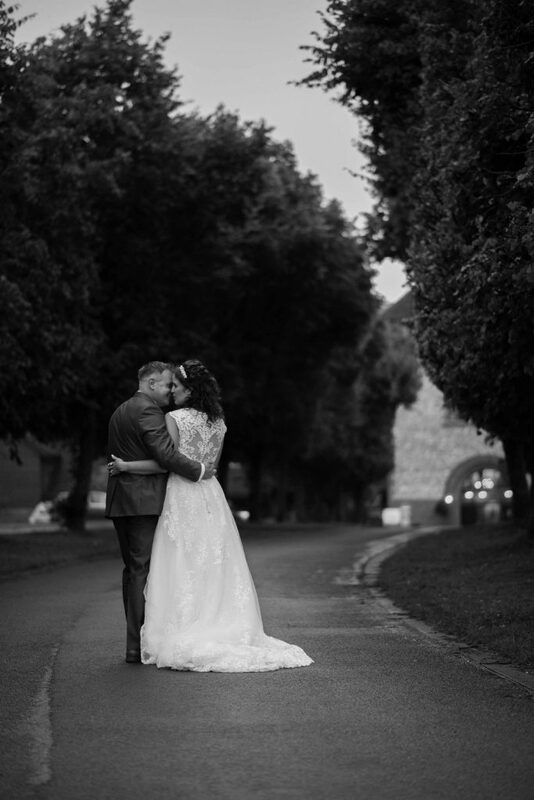 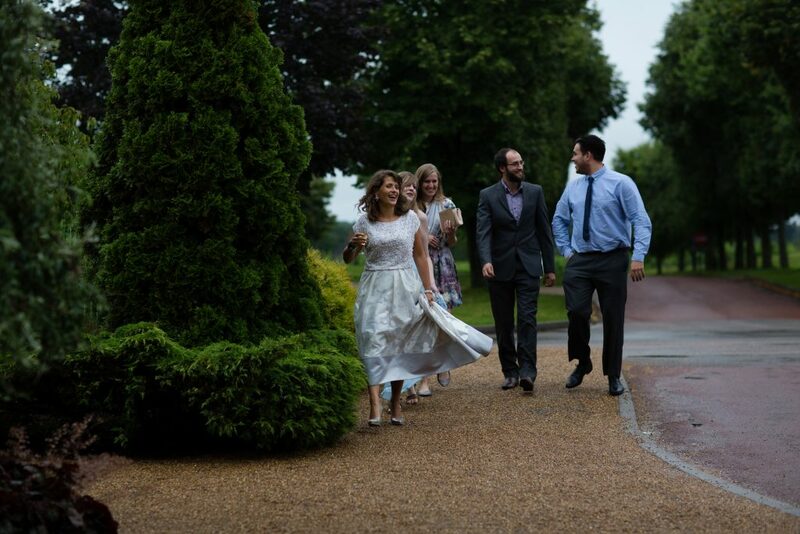 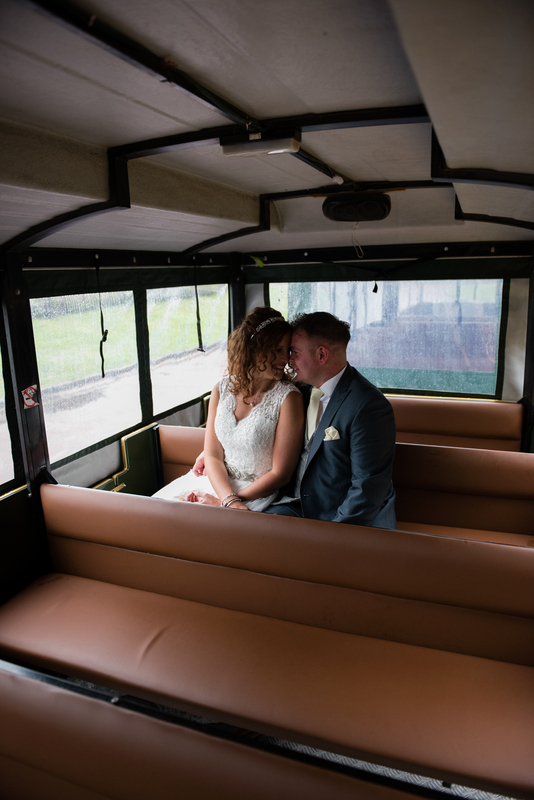 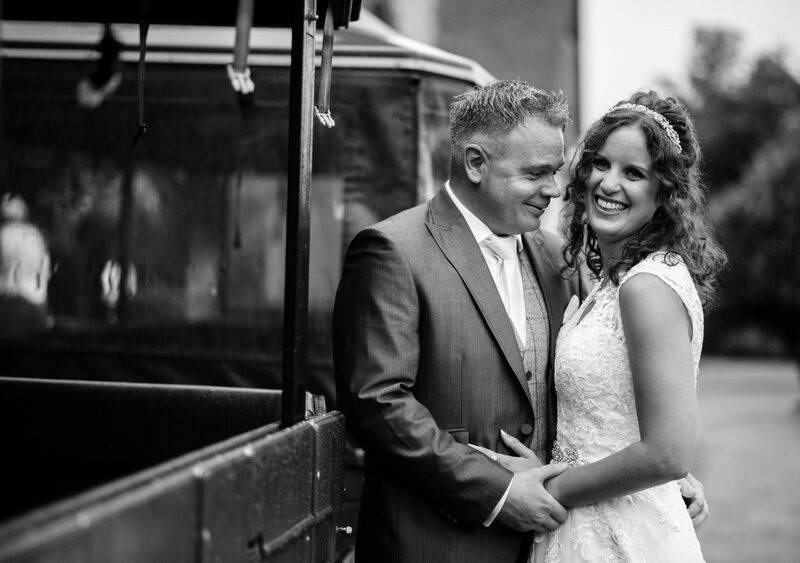 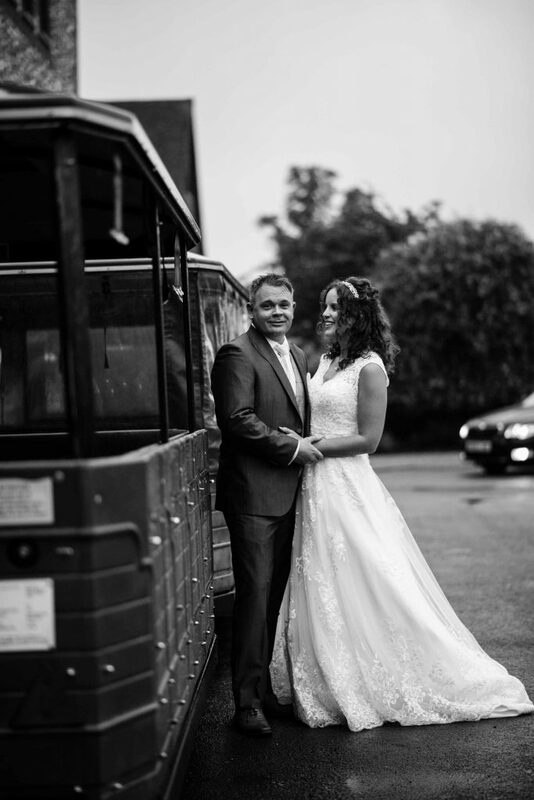 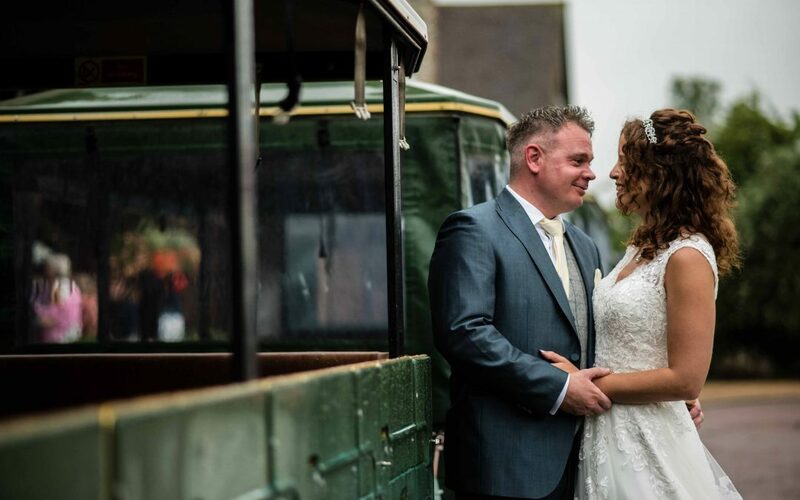 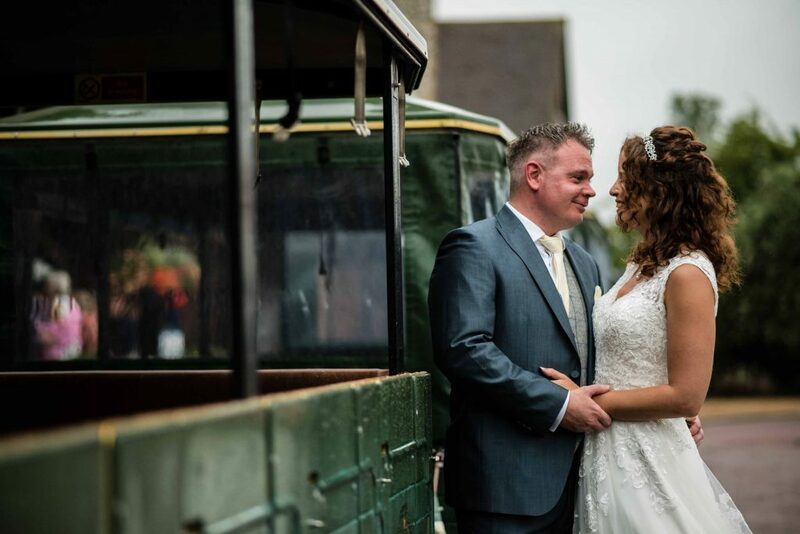 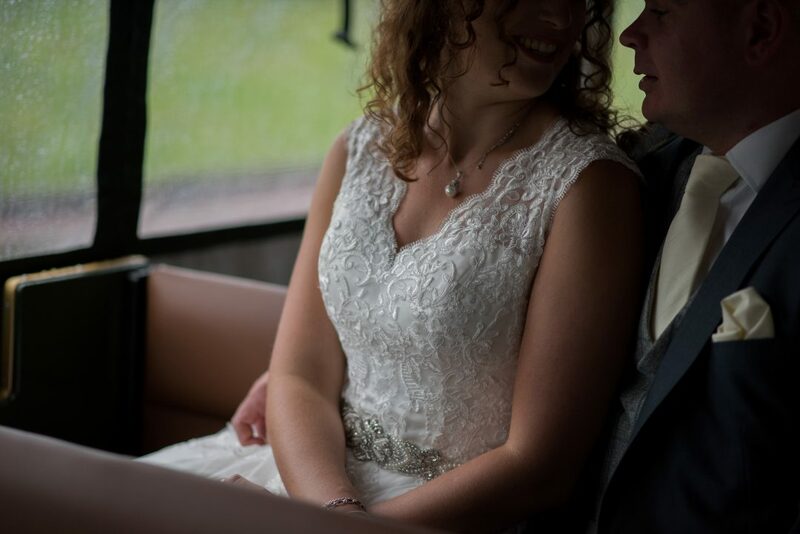 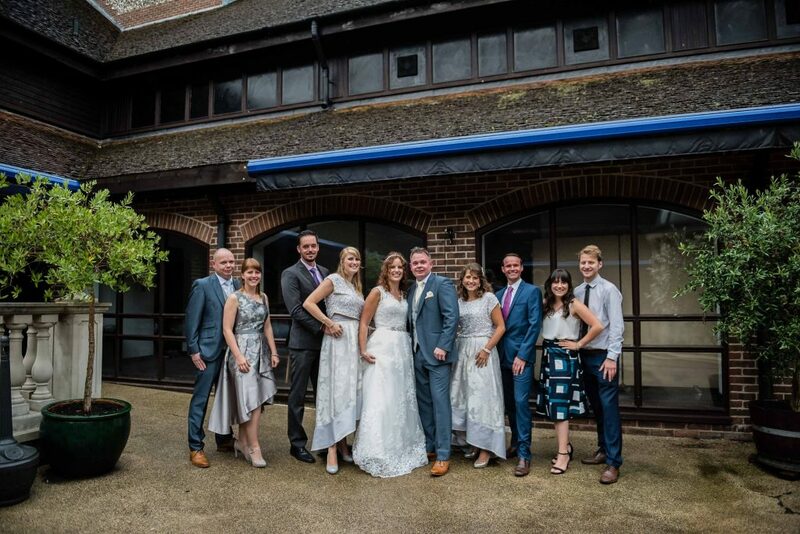 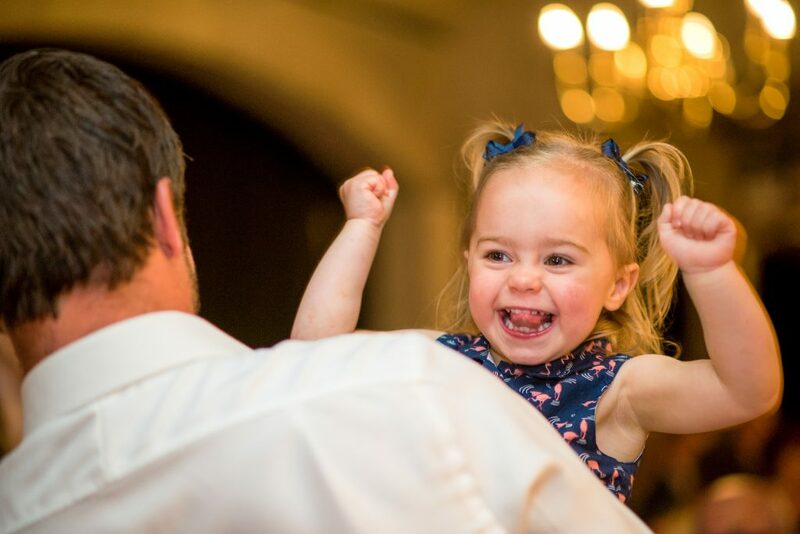 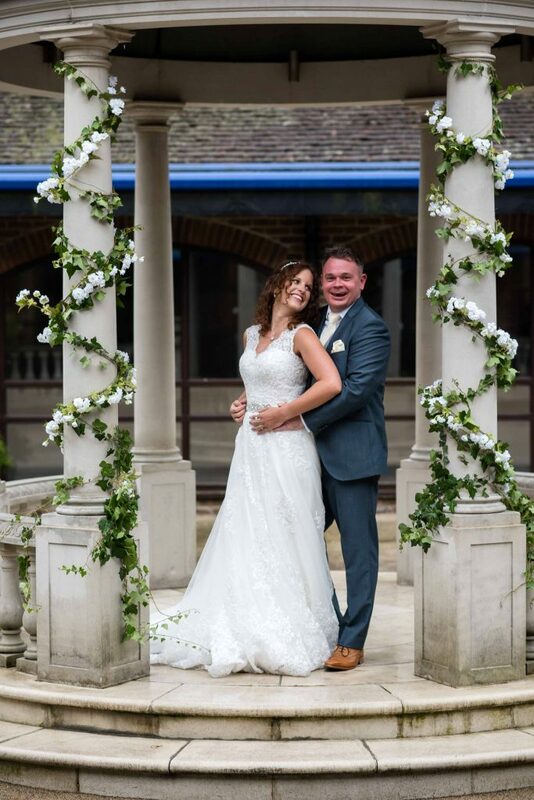 Jessie and Graham’s wedding took place on an unseasonably wet day in July – it really was grey skies all day. 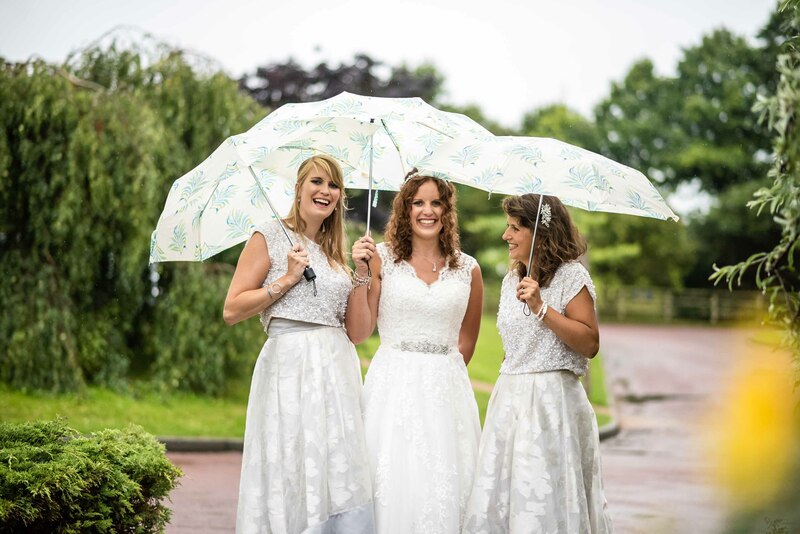 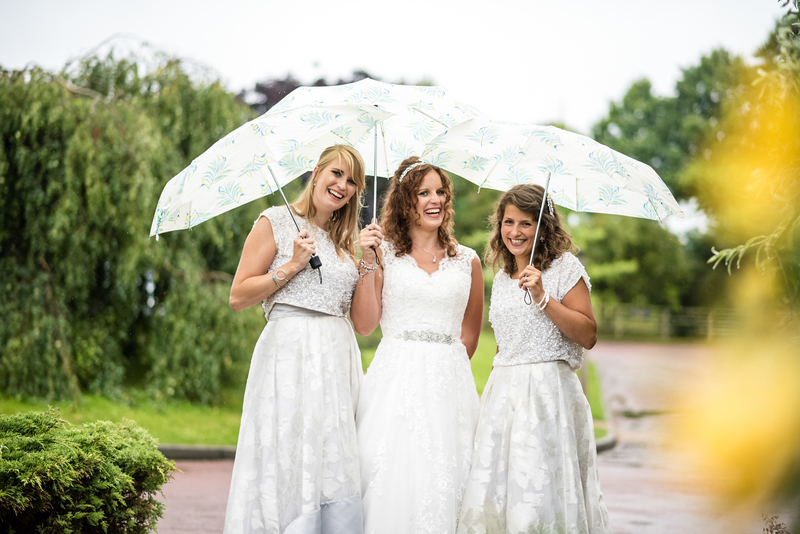 I was heartened to see them keen to get outside with some umbrellas, as even on wet wedding days, there is always scope for great shots. 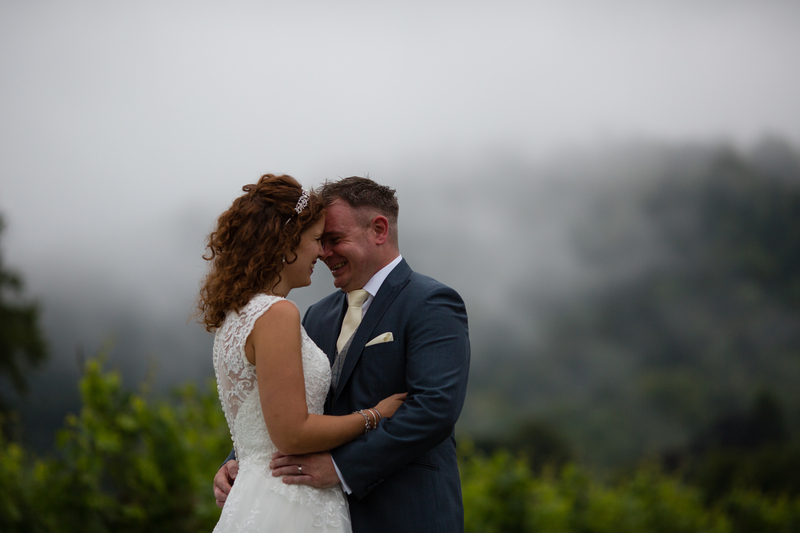 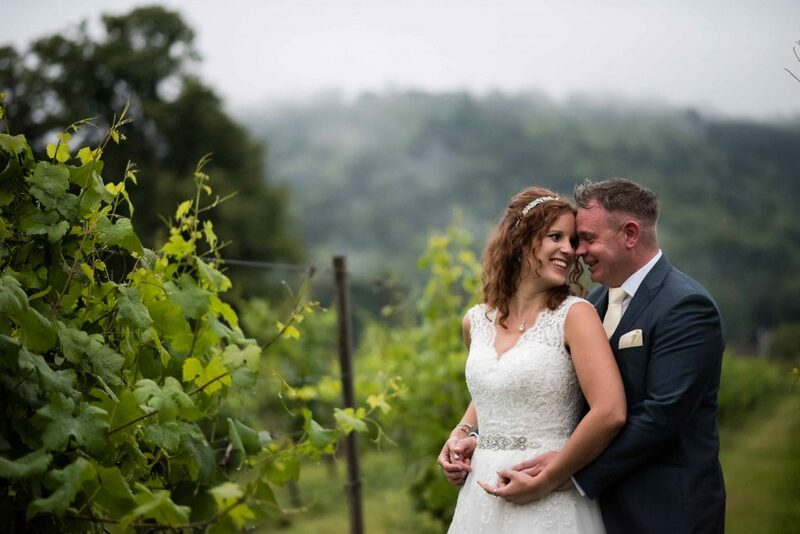 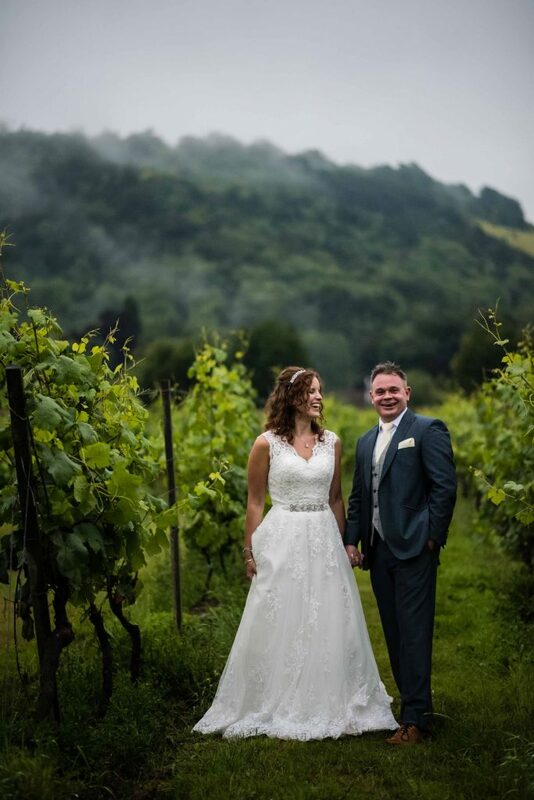 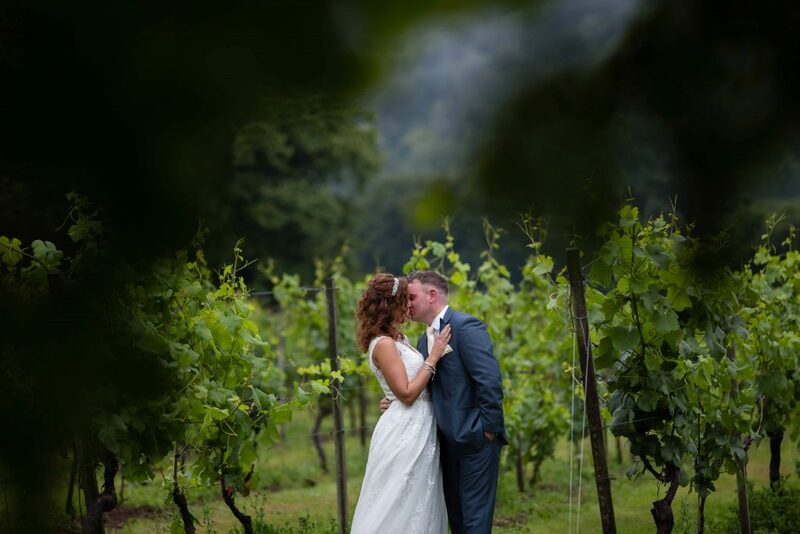 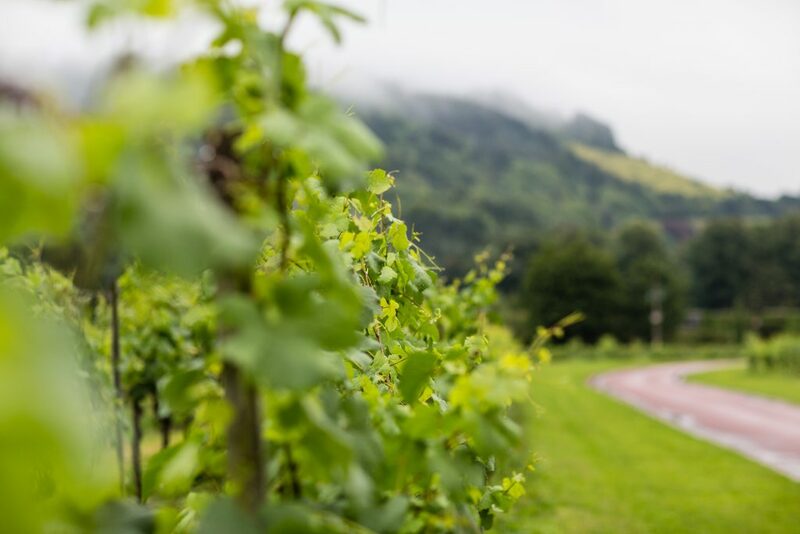 In fact the low lying mist from the vines made for a dramatic backdrop during their couple portraits and it stopped raining long enough to capture some family group shots too. For the evening’s entertainment Jessie and Graham had organised for a live band (Bandit) to play live sets throughout the evening – what a fantastic band; they got everyone up on the feet, dancing the night away.